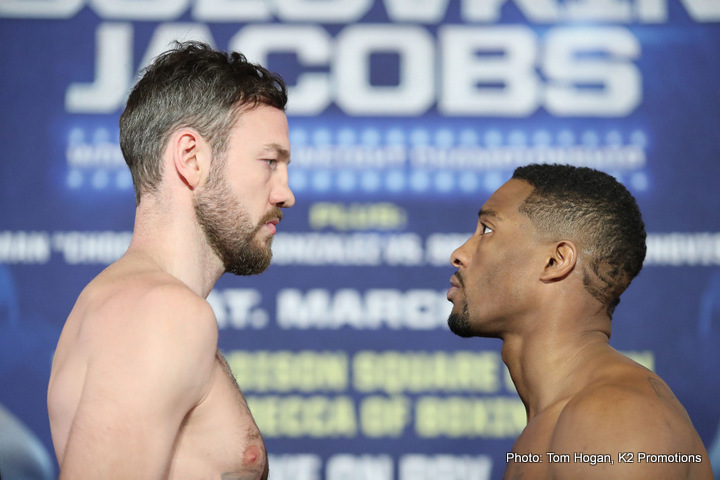 Andy Lee (34 W, 3L, 1 D), Irish middleweight fighter arrived in New York City earlier this week in advance of his fight against KeAndrae Leatherwood (19W, 3L, 1D) this Saturday night at the mecca of boxing Madison Square Garden. The Irishman returns to the ring after a 15 month layoff on the under-card of the highly anticipated Gennady Golovkin v Danny Jacobs world middleweight championship clash. Lee has kept himself fit and sharp during his time out of the ring and is looking forward to lacing up his gloves and getting back in action. It may be cold this week in New York, but being a St Patrick Day weekend Lee will be sure of a warm Irish welcome on his return to Madison Square Garden. KeAndrae Leatherwood from Birmingham, Alabama is a tough and durable fighter and will be looking to upset Lee’s plans and progress his own career. The 28 year old Leatherwood has won 7 out of his last 8 bouts.